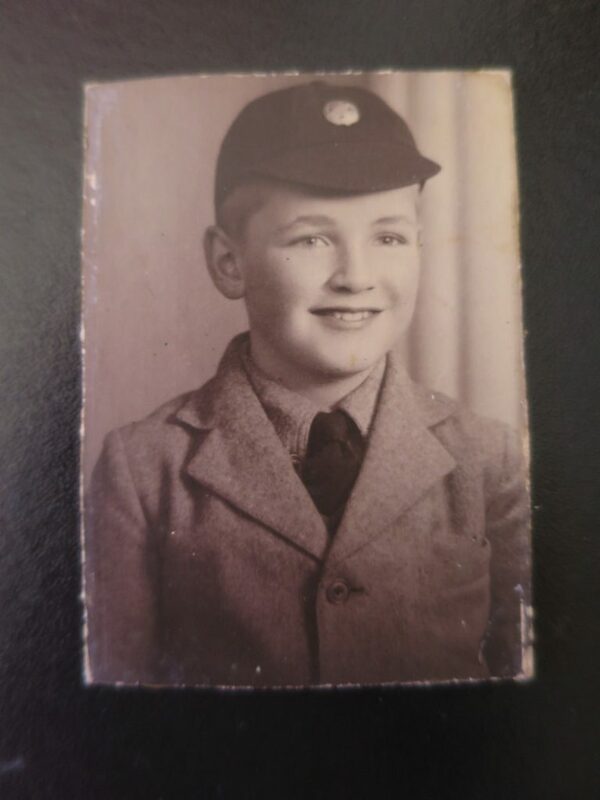 My dad would have been 85 today, being born as he was on the 3rd of April 1934. Sadly he died too young, aged a little over 70, on the 26th of June 2004. It is to my father that I owe my love of research and a deep commitment to, and interest in, alternative forms of healing—now commonly known as (and increasingly accepted by those against ‘non-conventional’ medicine and forms of treatment) as holistic health. 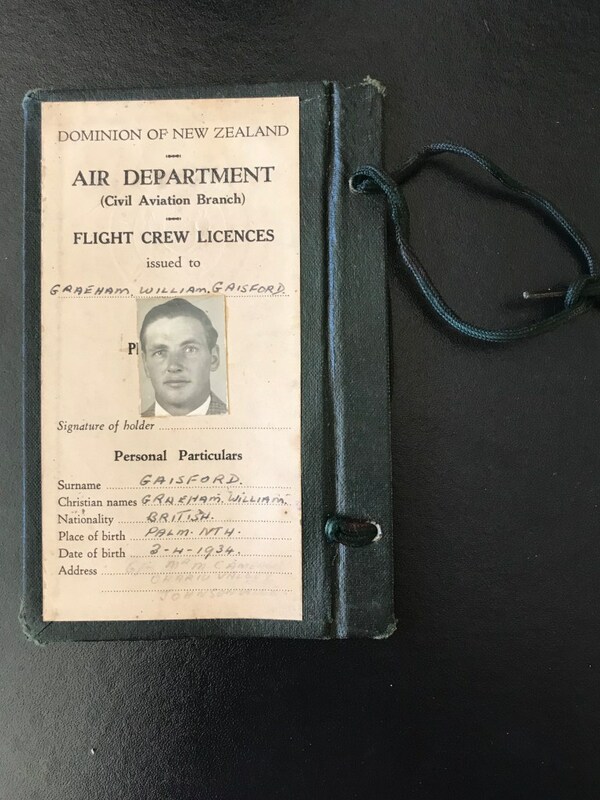 Graeham William Gaisford, was born in Palmerston North 1934; and married my mother nee Joy Lynette Fairweather in 1964, a year before I was born. They divorced when I was a teenager. My father never remarried, although he was never short of lady friends— – being as dashing and charismatic and educated as he was. His mother Norma Gwynneth – was a horse breeder and trainer. His father, Edward Claude Gaisford, was a distinguished landowner (b. 1891) who lost his wealth, as did so many, during the depression years. His father had a very aristocratic lineage which linked back to the Duke of Bedford in the UK and beyond (also including John R. Purvis, C.B.E who is based in Scotland and has been compiling our family tree. My father was very proud of his lineage. I suspect this is why the pursuit of knowledge and a commitment to education was so important to him. Below are scans of photos my mum just sent me. Oh, makes my heart glad and sad at the same time. If he hadn’t smoked two-three packets of Pall Mall filter daily perhaps he would still be with us. I can confirm, yes, I am one of those very modern women. I still have the letter John Purvis wrote to my father, sent via airmail from Scotland 27 years ago, and I can still smell the smoke from my father’s fire which burned through summer and winter (as he always enjoyed the heat). He pursued many careers in his life—all of them entrepreneurial. One of his businesses was installing central heating. Did I mention he loved the heat?! So it is to my father that I also gain my own entrepreneurial streak (and love of the warmth). When he passed (of heart failure) his death certificate recorded him as a natural therapist. As I shared in several of my books, his childhood was not the easiest. My dad suffered the trauma of emotional neglect. He was dumped in a boarding school when he was only four—supposedly for his highest good. He never truly knew his father, and very rarely spent time with him, in part because his father also died young. 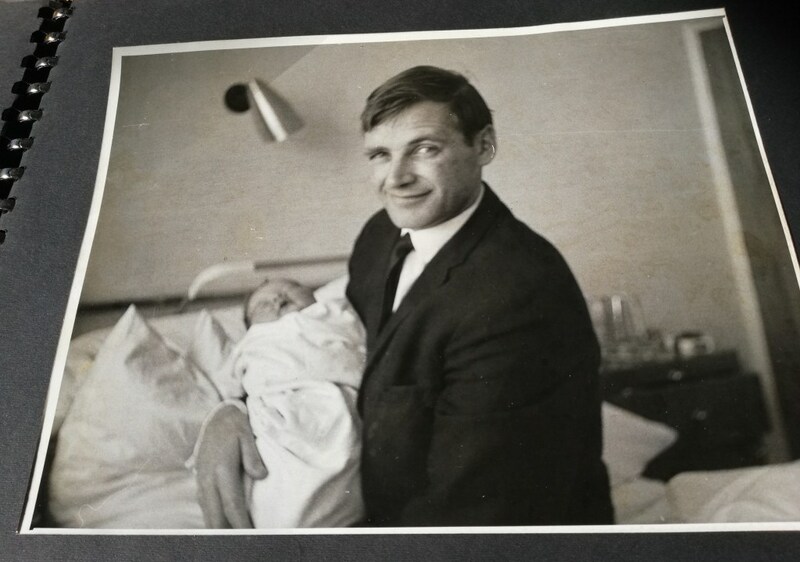 Astoundingly, he only found out a year or so before his death (in his 70s) that he had a half-sister (on his father’s side)—Pamela Enid Charlotte Gaisford. Happily, for me, my father was an optimist. He never turned to booze or drugs. I am blessed to have also inherited his optimism and resilience. In our family, when you get knocked down you jump back up again—and you help others do the same. The last line (“health benefits which remain unsupported by evidence-based medicine”) is especially pertinent to my father. 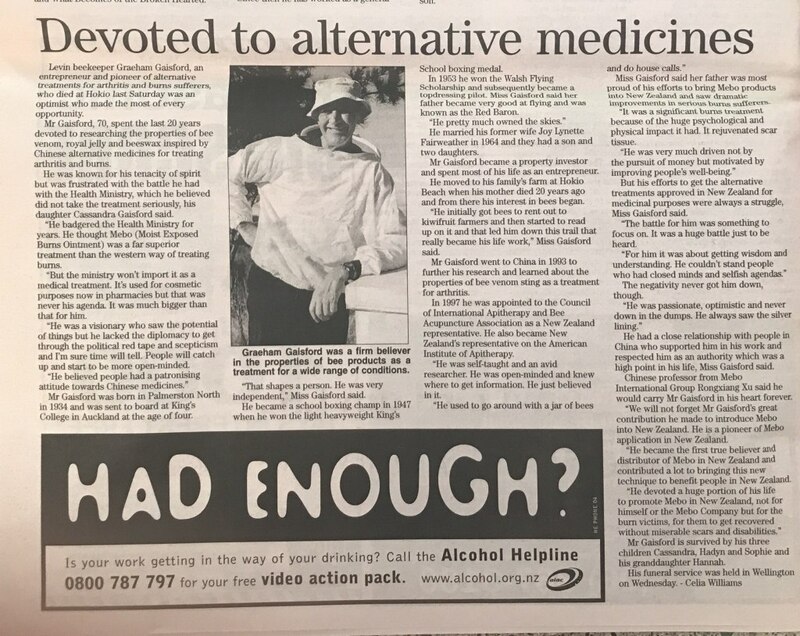 He was a tireless campaigner who fought to have alternative approaches to healing accepted by the medical establishment. Many of the treatments that were then regarded as unconventional, ‘woo-woo’ cures —including acupuncture, are now widely accepted, and in many cases have been validated using evidence-based techniques. In large part, it is not that the cures did not work, it is the humankind lacked the technology to evidence or measure the results. I am proud to continue his tireless campaign today in my holistic, health and wellness-based approach to my work as a holistic therapist, energy healer, Reiki Master, and self-empowerment author who is not afraid to challenge the status quo. He was responding to my suggestion that he try to master the art of diplomacy to better have his messages heard by those he sought to influence. I know realize the importance of not diluting your message to appease others. 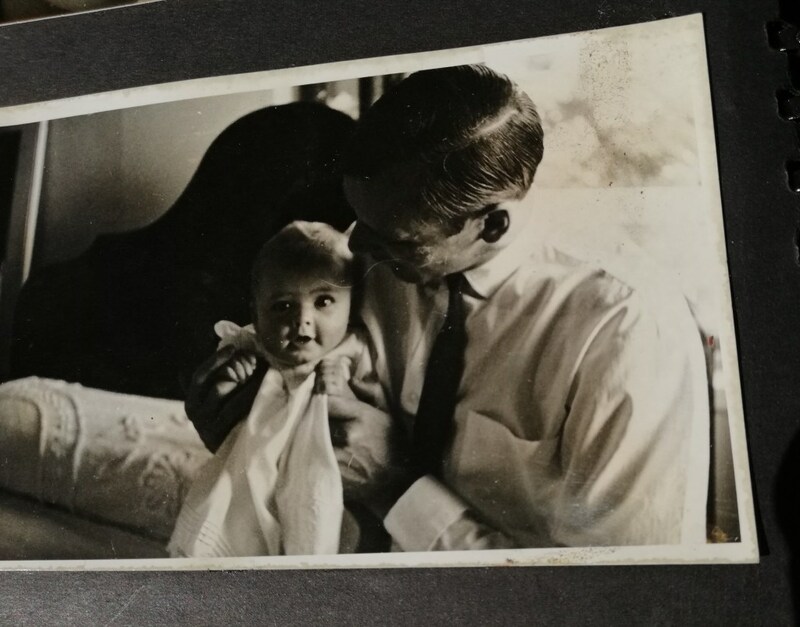 At his funeral my daughter sang the one song I felt summed up my father’s philopshy—Frank Sinatra’s, My Way. I still tear up when I hear this song. How times have changed. Now it seems everyone is scrambling to befriend China. Times had also changed leading up to my father’s death when a man I had been dating and whom I considered a friend that I introduced to my father betrayed him. My father later wrote to me, blaming me for the introduction and Glenn’s subsequent treacherous behavior. 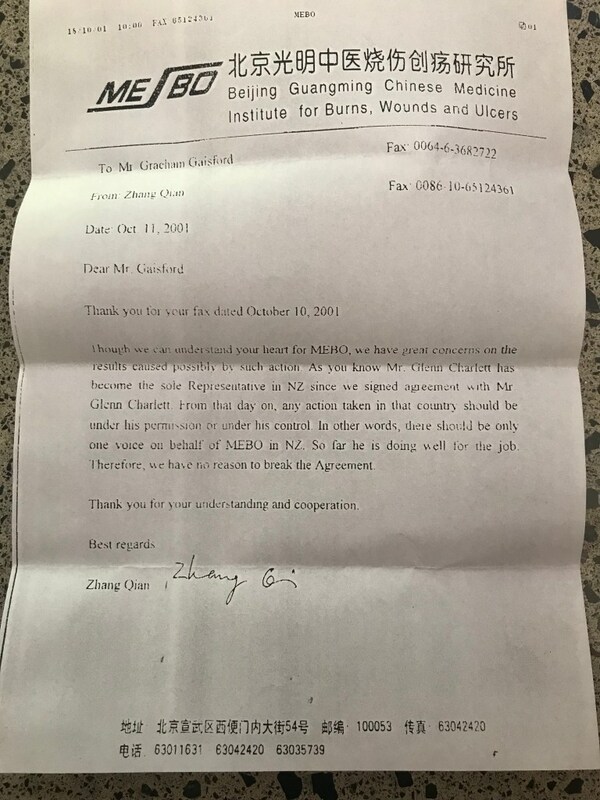 I had hoped that Glenn’s less ‘abrasive’ ability to influence and negotiate desired outcomes would complement my father’s selfless desire to serve others and offer healing to those severely affected by burns. 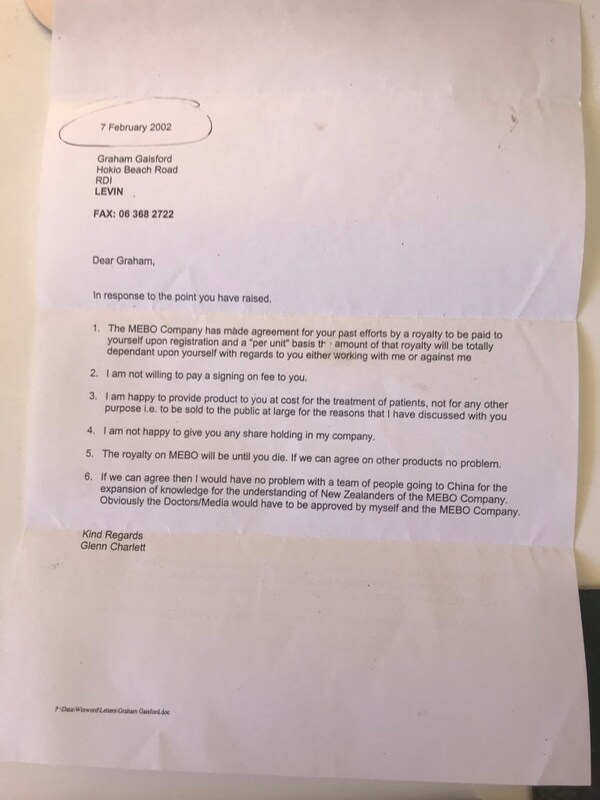 However, Glenn went behind mine and my father’s back and negotiated the rights to market and distribute MEBO in Australasia. 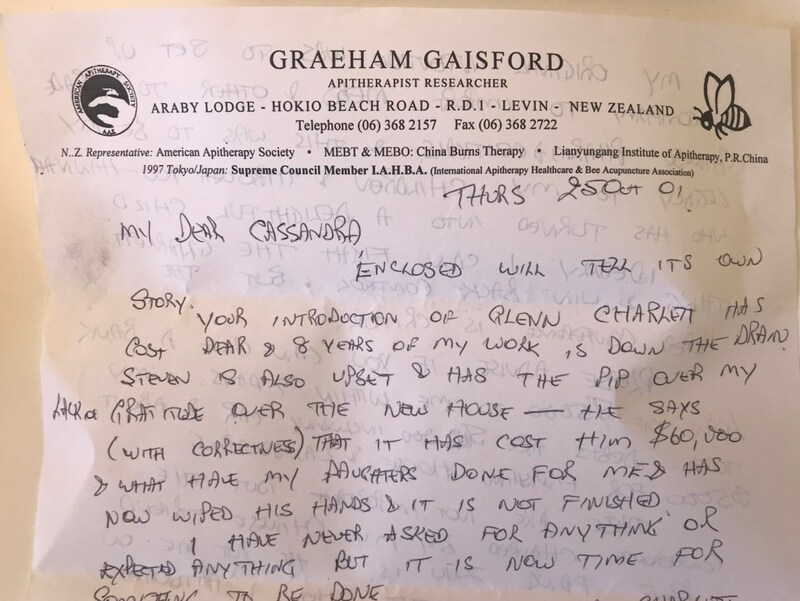 (My friends, and also his neighbours told me that Glenn had told them not to tell me that he was planning a secret mission to China – which would seem to confirm the attempt to deceive was deliberate. 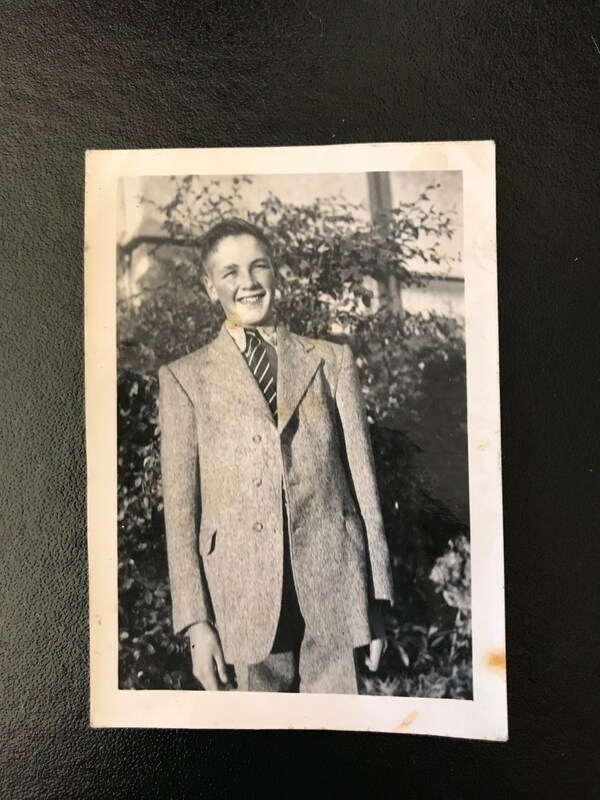 My father had been relying on the old-school gentlemen’s agreement he had made with the Chinese of a verbal agreement and a handshake—and of course the tireless and unpaid work of some eight years on Mebo’s behalf. 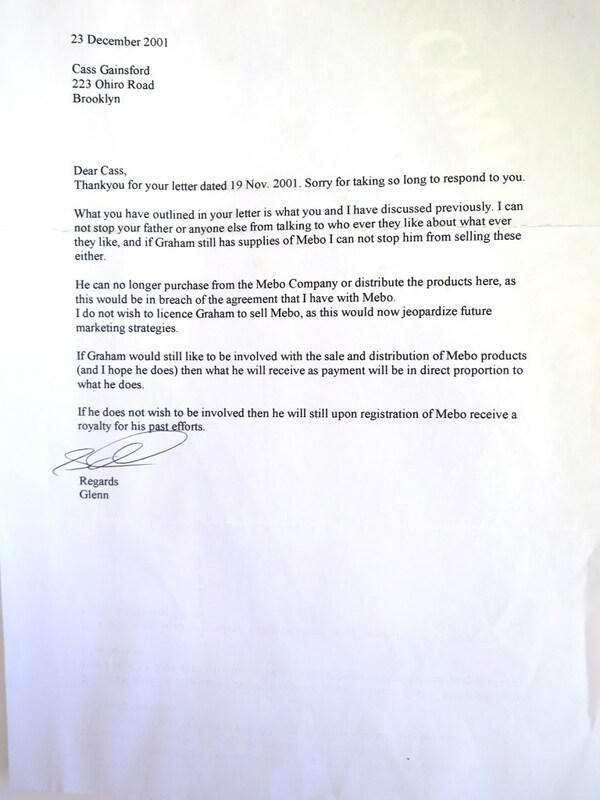 As you will see from the copy of the letter below, Glenn stripped my father of his right to license Mebo and then attempted to humiliate him by offering him a role as a salesman—under Glenn’s rule. That was not the spirit of partnership I had envisioned and my father always blamed me for introducing him to a person he believed to be an unscrupulous rogue. It is something I do regret. 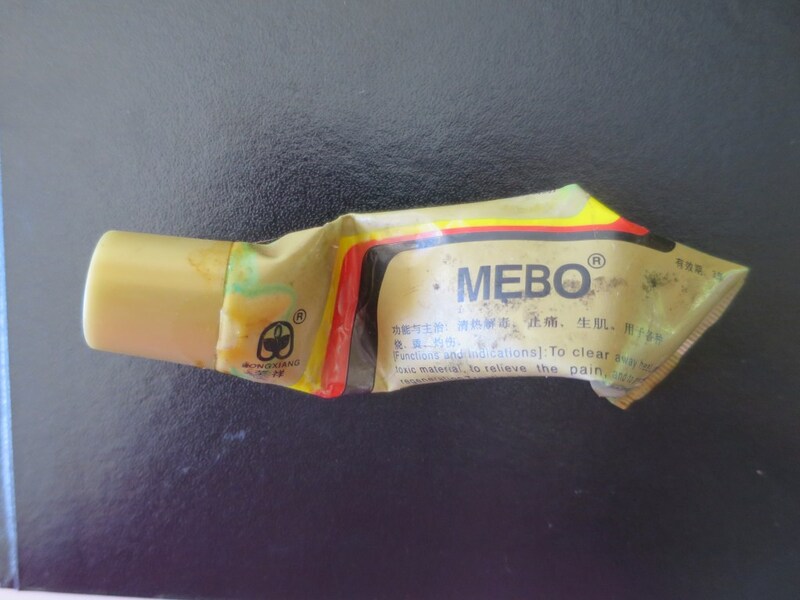 Glenn Charlett promised the Chinese that he would do what my father was unable to do—namely to have MEBO accepted by the Ministry of Health. To my knowledge (as they write here (https://www.mebo.co.nz/pages/about-us) at the time of writing this memorial post, this has still NOT been achieved. It is marketed and sold as a cosmetic treatment and appears to be failing to reach many of the people my father sought to heal and relieve of severe burns trauma. Glen also promised to deliver a share of profits to my father. This has not been delivered. 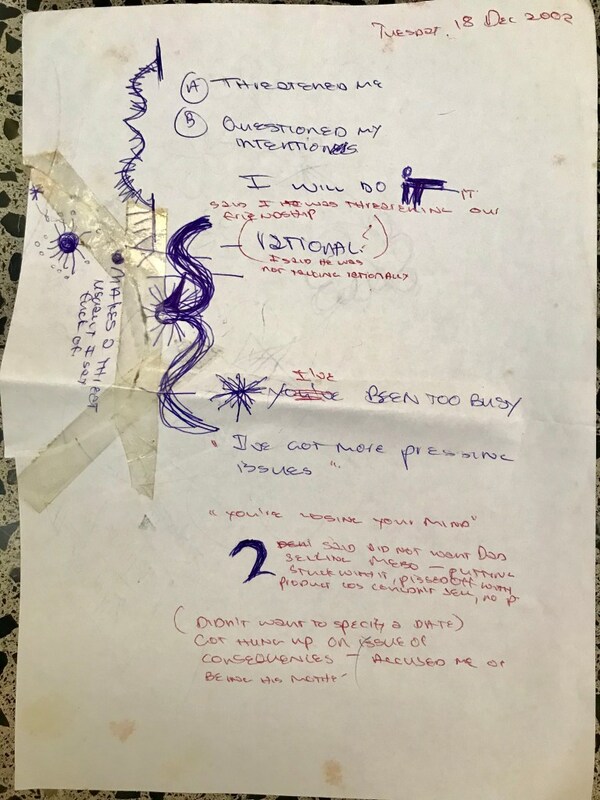 While preparing this post I came across some records from that time when, after my father had made me aware of Glenn’s actions, I had tried to intervene and ask Glenn to do the right thing. I had quite forgotten the threats he made to me and his hostility. My notes are somewhat scrambled as I was completely flawed by Glenn’s tirade of abuse and threats. Perhaps as my father suggests, it is time for something to be done. At least, to share the truth. 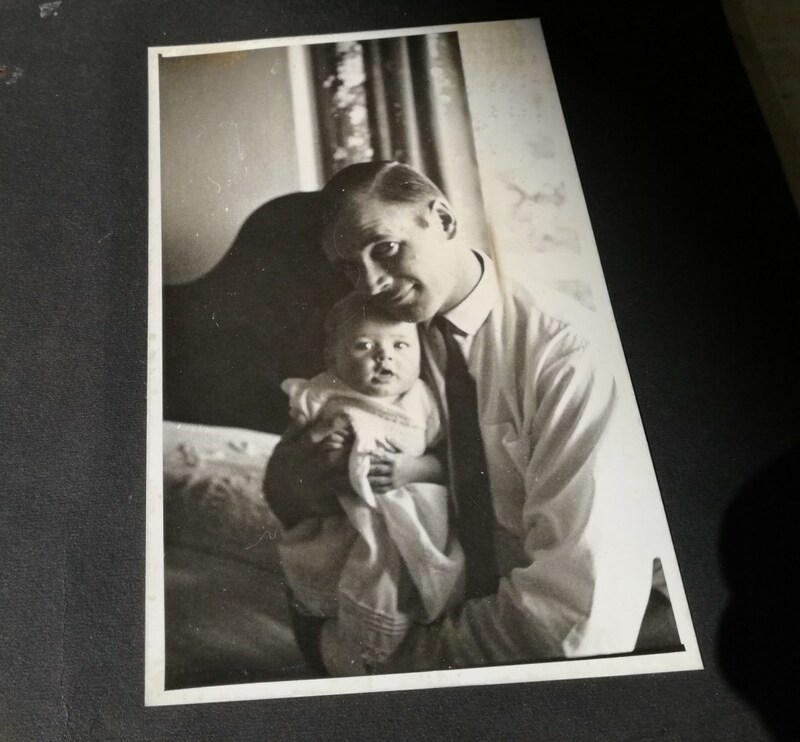 Given the lack of integrity and disrespect shown to my father, upon the news of my father’s death it was heartening to receive a telegram from the Chinese saying that my father was a true Communist—motivated only by helping his fellow man. I suspect they were unaware of what had truly occurred. I have been led to believe Glenn Charlett assured them that my father was being looked after. They did, however, write to him asking him to desist from being the voice of MEBO and helping people. 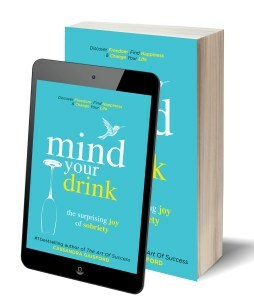 “Though I was sometimes somewhat skeptical of Graeham’s various causes and claims, as journalists tend to be—I could not help but be deeply impressed by his passion and commitment to his cause—to improve the health of his fellow human beings. “He was charming, witty—stubborn and bull-headed at times—but dogged and utterly genuine. I interviewed many people in my dozens of years of journalism but he stood out as someone who was so colourful, larger than life and truly memorable. An extraordinary man. “I offer my condolences to his family at his passing ad salute someone who sought to change the world for the better. 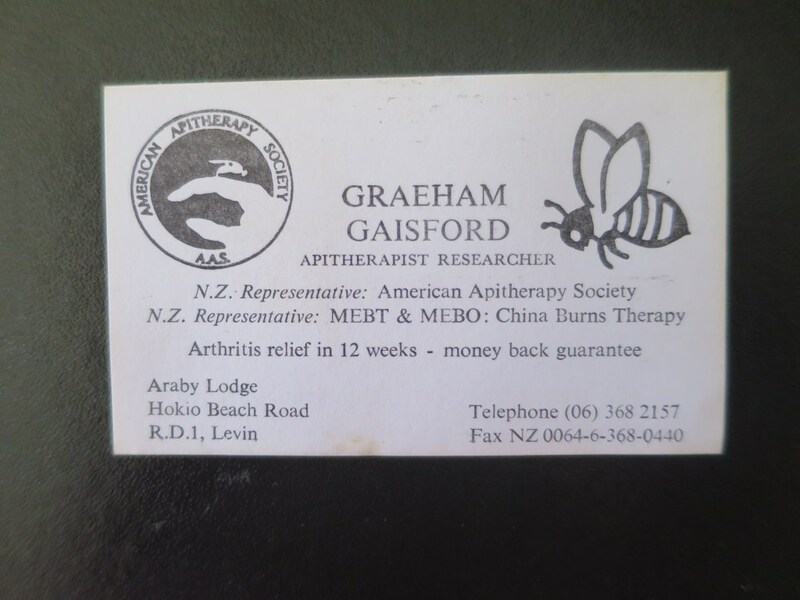 “I came to know Graeham a number of years ago when I was working as the health reporter for the Manawatu Evening Standard in Palmerston North. Yes, I too, have inherited my father’s dogged persistence. My father loved to fly, my hope is now that he has the full breadth of the heavens, and the liberation of being freed from small minds, that his soul may truly soar. The image below is one I took recently of a bee enjoying the nectar from a flax bush here in The Bay of Islands. My good friend, and fellow artist, Max Gimblett, once encouraged me to compile a selection of my photos into a book and combine with sage words from a poet or philosopher I admire. Finally, some eight or so years later I have done just that. Flower Power is available in a beautiful hardcover edition here—http://www.blurb.com/b/9038272-flower-power. I first published after my mother has received her copy as a mother’s day gift. It is right that she should be the first as she has blessed me with her artistic talent, an entrepreneurial streak, and her independent and resilient spirit. My mother was the first to encourage me to make money from my art and one of my early memories was of creating French-style colour washed surrounds for large floor-length mirrors which I sold through interior design stores and also Kirkcaldie and Stains (then a premier department store in Wellington, New Zealand—now replaced by the Australian retailing giant David Jones). I may have been dissuaded from studying art at high school, but I shall always appreciate being encouraged to master the art of business. Above is a sample of Flower Power when it was in the creation stage. The finished version, complete with poetry from the ancient Islamic poet Rumi, is available in a beautiful hardcover edition here—http://www.blurb.com/b/9038272-flower-power. 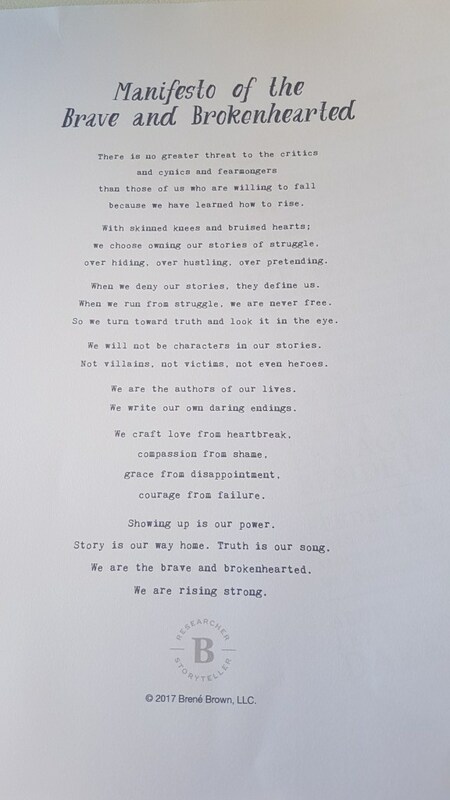 My daughter also sent me these sage words of wisdom from Brene Brown—as they speak to truth, they are especially poignant. Thanks Dad—for creating such an inspiring legacy and for the gift you gave us all—an enquiring mind, an education to feed it and the freedom to speak our truth. Not all Dad’s give this to their daughters.